The Ikan 2.5-4.25" Diameter Adjustable Lens Zip Gears (3 Pack) make lenses operable by a follow focus unit. They are fitted around the focus and zoom rings of lenses and feature gear teeth that are durable and pair with standard follow focus systems. Once tensioned, they provide nearly zero backlash for better zooming and focusing ability. This rental includes 3 zip gears so that you can run three systems at one time or have a few on hand and already sized for different lenses. While zip gears can be cut to size please do not cut ours! Cutting our zip gears may result in a fee. • While zip gears can be cut to size please do not cut ours! Cutting our zip gears may result in a fee. 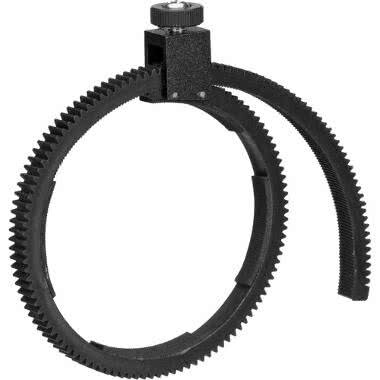 • Adjustable Diameter from 2.5"-4.25"